Why Do You Need App Promotion/Marketing Services? 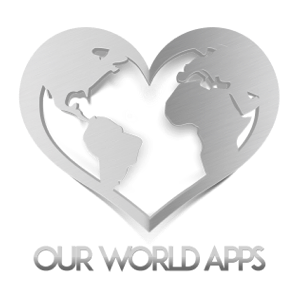 At Our World Apps, we build beautiful and feature rich apps. But that’s not all we do! As well as creating apps, we also offer app promotion and marketing services to help you ensure that your application finds its way onto as many phones as possible. In doing so, we also drive more customers to your business and we help to gain more exposure for your brand. Say you have asked us to build you an app for your local restaurant business that lets customers learn about your business and even place orders directly through Just Eat/Grub Hub, or even book themselves a table. Now you could just leave it at that and tell your customers about your app. You’d likely find that your sales automatically increased as a result – seeing as customers would find it quicker and easier to eat with you rather than your competition (and you’d win points for having an app in the first place). But imagine if you were to also do some additional promotion for your app so that people who weren’t previously customers would find it. That way you’d help more of the huge user base on iTunes and Google Play to discover your business and to see how easily they could start ordering. They’d see your free app and install it to check out your business and then be instantly impressed by the crisp images of your food and maybe even a welcome video really selling the best points of your business. That way they could keep it on their phone and keep you in mind for next time they’re hungry! Or better yet, if you are prominent in the marketplace and online, then hungry customers would be able to find your app and your restaurant when looking for local businesses to order takeout/book a table with. Your app will be professionally designed and make it as easy as possible to eat quickly, so you could be sure to win out over the competition. When you order app development and promotion together from Our World Apps, a Subsidiary of Our World Enterprises LLC you can make huge savings with an integrated strategy that will ensure your amazing app gets the maximum possible exposure. Using the right description and app name you can increase your visibility immediately in the app stores. Each new update will gain new exposure for your app and more customer downloads. We’ll get your app into the lesser known stores, such as Amazon’s app store for Kindle users. Leverage the power of social media to drive more traffic to your app and to target local users. Use search engine optimization for both your app itself and your app landing pages. A PPC campaign is a ‘pay per click’ advertising campaign that can gain you exposure on social media, Google and more. All this can make a huge difference to the success of your app and really propel your business forward. To learn more, just call us at 253.299.2767 and we can discuss a strategy that works for you! Please "Like", "Share", "Follow", "Tweet", & "Retweet"! Thank you! Stay up to date and get exclusive newsletter customer only discounts!